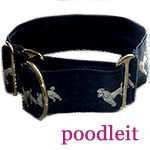 Poodle Blogger: Searching for a Poodle puppy? Arlene Mills of Crabapple Downs Poodles in Colebrook , NH is a wonderful breeder. I got my Sunny from her six years ago!